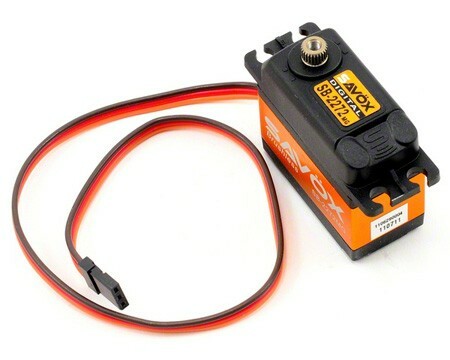 This is the Savox SB-2272SG "Lightning Speed" Brushless, Metal Gear, High Voltage, Digital Servo. Brushless motor provides extremely high speed, incredible efficiency, and low power consumption. Extremely strong metal gears ensure long-life and durability. Totally green - from materials to production, these servos are environmentally friendly. Ideal for 1/10 trucks and buggies, as well as every control surface for giant scale aircraft and 700 class heli rudder applications.